Why is that you might ask? I am a PT that has “Been there done that”. A few years back I was out of shape, sedentary and a fair bit overweight. So I set about losing the fat and getting healthy. Along the way I discovered that I really loved what I was doing. That is when I decided to become a PT. One of my core values is empathy over sympathy. I have walked in your shoes and I know where you are coming from. That is why I understand that you may not want to necessarily take up my FREE consult offer, so if you check the other pages you will see there are some special reports that I would love you to read. 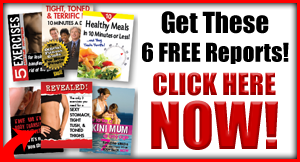 They might just be the kick-start you are looking for on your healthy lifestyle journey. But whatever you choose take advantage of them NOW. As you never know what tomorrow may bring. I look forward to guiding you on your journey.